Back in January, XSEED Games announced that it would be bringing the long awaited Japanese action-RPG Pandora's Tower to North America in Spring 2013. It's now been narrowed down a little bit more, as the publisher has announced it will be releasing it at some point in April. XSEED has a bit of a reputation for making a success out of localised games. 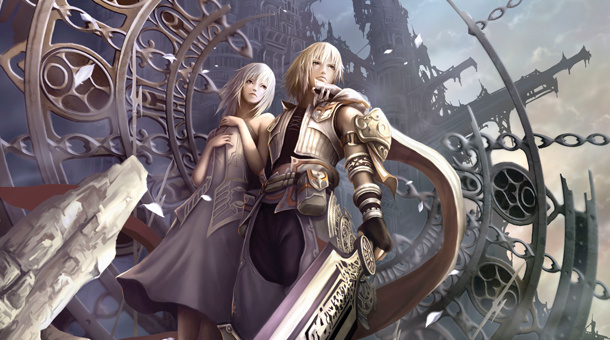 The Last Story, which it released in 2012, quickly became the company's most successful game of all time. 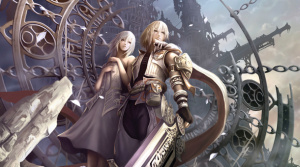 Considering the Wii is right at the very end of its life cycle, it's unlikely Pandora's Tower will smash any records, but there's still plenty of demand in North America for it and XSEED will hope for bumper sales. 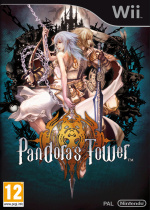 Europe has had Pandora's Tower since April 2012 and now, one year on, North Americans can finally get their hands on it. A new trailer has been released and can be found below. Are you looking forward to finally playing this one, North America? Well I have heard good things about it, so I might consider it. I sorta want it but that trailer didn't help any. At least North America is finally getting it. I'm not sure how good the game is though. I'll reserve my thoughts until I find out more about it. I'm on the fence about this. Part of me wants it but the other part says just move on. I'll wait for some user reviews and impressions of friends! Good game. Worth the ride. Meh, I'm still considering The last Story and will soon try to pick up a copy of Xenoblade, but I really dont care much about this one. I've had my preorder secured since the day Amazon starting taking them. So glad this is finally coming to NA. Can't wait for it. I had this on preorder for awhile now. The story looks like its gonna be pretty deep and twisted. I don't know too much about the game, but I'm really excited to play it. Thank god its April. There is already a bunch of games coming out this month that I want and can't afford. Ah. So... the final of the trio of Operation Rainfall WILL actually come to the west. Well, I'll plop that into my Gamefly Q then as I'd still like to play it. Is this a sequel to The Last Story? I haven't played that, but this looks similar. @RoryLee And that's why I'm counting on you to tell me how it is! @WingedFish Yeah this was made by Nintendo in Japan. Very dark game for them to make. That's what's keeping me interested in this though! Gameplay looks very appealing to me, but the trailer helped me understand the story better. A must-buy in the first day. Thanks to Operation Rainfall. I hope they have that kind of promotion that allows you have get those three gold coins on Nintendo Club for owning all three of the Operation rainfall games! Those coins looked so nice! This is a rare case where I don't mind the push back. I just started The Last Story, so this gives me a little more time before this comes out. I really want this game though. There's nothing better than a dark rpg. I'm glad that they delayed it as this means it will be released in a less crowded month and it deserves all the appreciation it can get. I beat it last month and it is one of the best games on the Wii! If people don't buy this, you have a serious mental illness. This is a mature rated title for a Nintendo system. And it's exclusive. And it's crazy. Buy it. How does a Tower invade something? good to know its coming soon still. had this preordered last month so im ready for it. For people looking for xenoblade chronicles, have fun trying to find a copy, its hard to come by nowadays, im glad i got that on day 1. its $80USD used on amazon. cant wait to get game #3 of opperation rainfall! That was a terrible trailer. I could barely here them speaking above the music. Noo! I'm not really that upset but I was hoping that gamestop was right with their release date of March 26. Oh well, will definitely pick this up because 1) it looks awesome and 2) I really want to support localization of more games like this. @Tasuki Loos like you beat me to the punch, I was gonna say the same thing. I'm still on the fence about this one, the game sounds interesting but I'm not sure I'd care for the gameplay. I totally preordered as soon as I could, and I'm excited! However, since I finally got around to starting Xenoblade Chronicles in the last few weeks, and since it took me a year to finish Skyward Sword... I imagine I'll probably start playing this game sometime in 2018 and finish it by the time my grandchildren are in college. Yay! Im in the US, but I played/Beat the European version. Definately an emotion driven game, It'll pull at your heart strings, and by the time you finish the game, Everything that they didnt tell you during it, till make sense. Definately one of the best games of our current time. @Haxonberik What are you waiting for? Xenoblade and The Last Story are two of the best Wii games and two of the best jrpg of the entire generation of consoles. @Tech101 It wasn't developed by Nintendo. Produced and edited but the developer is not owned by them. It will be good times. I'm european and so i've played it, all i can say without giving any spoiler is: it has a better story than the last story and gives more freedom to the player in terms of pure gameplay. Plus, there's lots of secret stuff and the NG+ is really worth it. Wow they used a crappy voice for the girl, but anyway the game seems good. Already played it,and it's a brilliant game. This will get pushed back a bit for me, as I just got the ZombiU Wii U bundle, and Lego City Undercover is next; and that's just on the console side. I made sure to preorder each of the Operation Rainfall titles, both because they all looked like great games--and I thought The Last Story and especially Xenoblade were--and because I hope it never becomes necessary to form Uperation Rainfall. I'll get the game but just for the story and gameplay. I heard the game got multiple endings and unlockables so those I'll definitely check out. American's this game is definately worth your time! While it's not on the same level of Xenoblade this game is excellent. The relationship between the two lead characters is probably the most touching video game romance I have ever witnessed. While the game does suffer from utilising some archaic elements such as fixed cameras and having two similar looking levels for each of the 5 elements, the game is challenging, engaging, and has spectacular boss battles better than many recent Zelda offerings. XSEED is becoming my favorite publisher outside of Nintendo. Preordered the heck out of this game. Its so nice to see all three of these games coming out both in EU and US. Gives me some hope that we will someday get all of the Legend Of Heroes games translated and released too. looks to be one of the awsome games for wii as far as rpgs go have the other two xenoblade and the last story.